I no more felt like opening and sampling a beer this evening. I unfortunately went against my personal mid-week rule and had a late night teamed with a few too many which equates to a torturous 12 hour Wednesday shift. I had reason to though. An old pal that I spent a summer with 10 years ago came to visit this week and he was over for a cheese plate, a couple of Chimay blue and two too many Del fin del Mundo, Malbec. All fabulous at the time, maybe laughed too close to the face of ''under the weather'' but definitely worth it!. 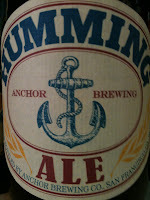 The Humming Ale is delicious. 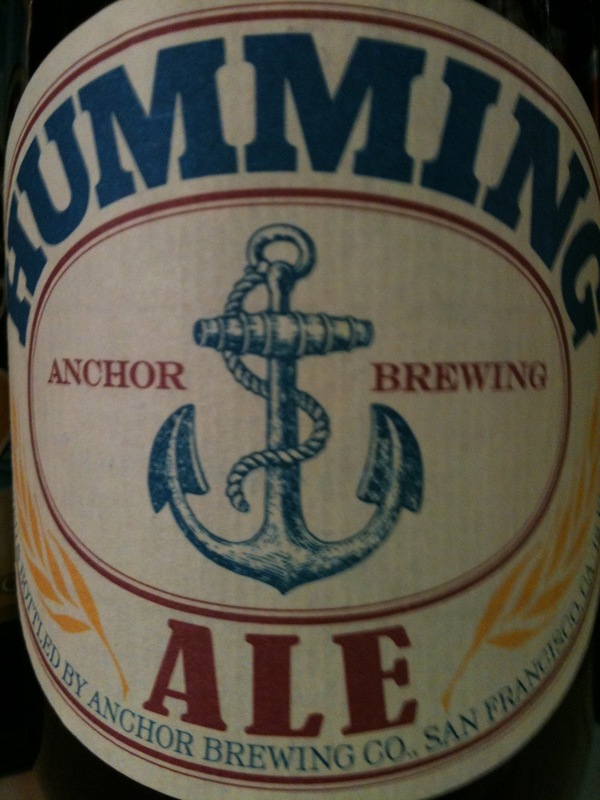 Pours a little- to- no head topping a rich golden ale with hints of tawny and red. Very appealing aesthetically. It smells even better though. I get orange peel and peach notes with a floral hop background. On the palate it has this lovely refreshing carbonation - almost like Champagne fizz. Floral and citrus flavours with hop characteristics and some peach flavours on the finish. Really clean and refreshing. Really good even without a beer pang!! !